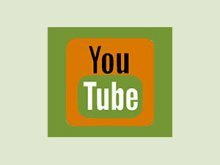 Here are a few herbal tea recipes for those of you interested in making tea the old fashion way. 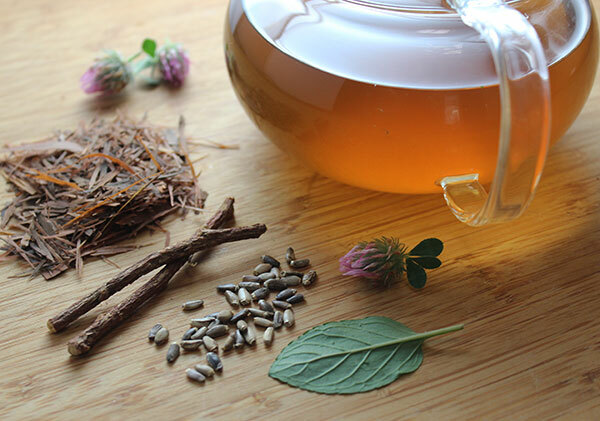 It's time to put those prepackaged teas aside and get ready to do things the ancient herbal way. Today, with boxed teas, extracts and tinctures, the art of making your own healing brews is falling by the wayside. 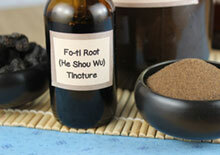 It is much easier for many people to add hot water to a tea bag or drop a squirt or two of tincture into a drink. We agree that this is definitely a more convenient way to take your super herbs for a busy and active lifestyle. But for those of us who like a little more direct contact with our herbs and spices, there is nothing more primal and satisfying than infusing or decocting your own herbal superfood liquids. 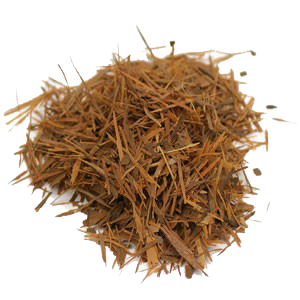 These are teas that involve straight up, fresh or dried, bulk plant material that you can furthermore use in much larger quantities for greater health benefits. Herbalism and tea preparation are essentially the origins of modern-day medicine. 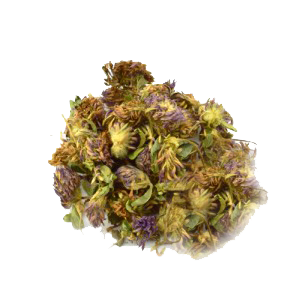 Many of the pharmaceutical medications used today are in fact synthetically derived from the herbal plant community. Teas can be great adjuncts to a health promoting diet and lifestyle, offering a preventative approach to sickness and disease. 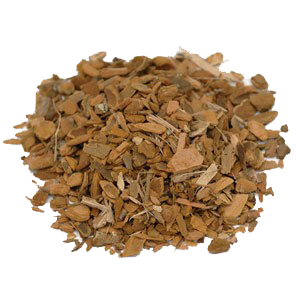 They can help to nourish and strengthen various body systems as well as assist in the treatment of specific health issues. Herbal teas are basically concentrated broths made from leaves, roots, flowers, barks, mushrooms and berries, containing plant-specific bioavailable constituents. 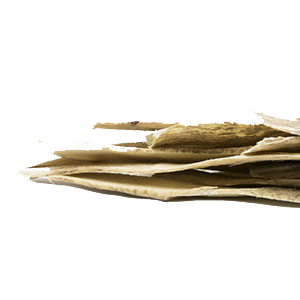 They are a gentle and efficient way to consume vitamins, minerals, antioxidants and adaptogenic compounds. Teas are additionally an excellent alternative for sustaining your daily water requirements providing similar hydrating effects. 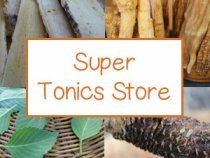 Nothing really compares to making your own tonic brews and cleansing teas from scratch, delighting in the aromas that will fill up your kitchen space. Traditionally prepared teas remind us to remain conscious of the primary part we each play in our personal well-being. 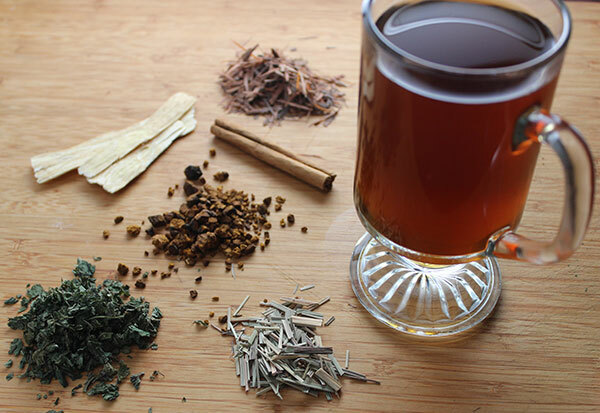 For some of you, making your own herbal tea recipes is an enjoyable experience that comes naturally, while for others it might be more of a chore. The most challenging thing for most people seems to be learning how combine herbs and spices so they are both nutritious as well as delicious. Well, you don't have to think about all that if you've arrived on this page. 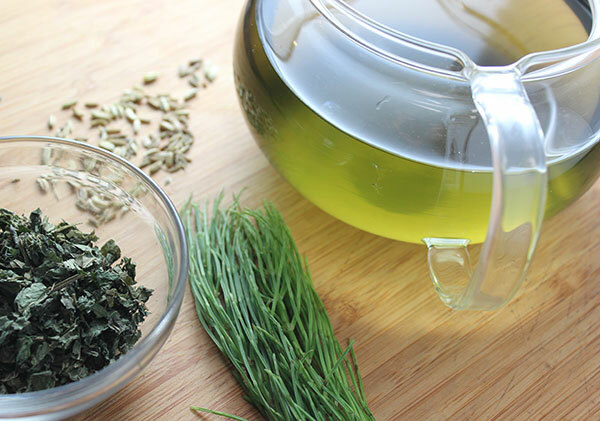 We have five herbal tea recipes ready to go, so all you need is a little bit of time to gather up your ingredients. The following herbal tea recipes can of course be altered, in accordance with your current health issues or goals. This could mean taking out one herb and replacing it with another or adding more or less of various herbs and spices. On our herbal tea preparations page we discuss how to customize your own personalized tea blends for those of you who want to go a step further. This involves more specific information about tea formulation using the appropriate balance of activating, supporting and primary herbs. All of these recipes can be either made with between 1-2 quarts of pure water depending on how strong you'd like it. 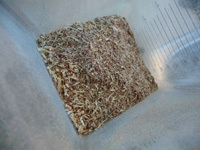 Keep in mind that tea decoctions will lose some water content as they simmer. 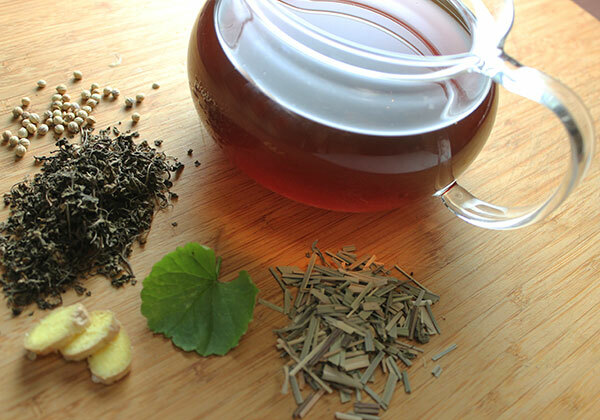 This tea is a subtle, yet effective cleansing tea. 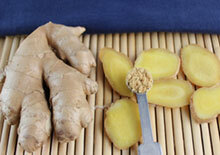 Drink it for a few weeks in a row in the spring for a gentle and detoxifying cleanse for the liver and lymph system. You can also change up the flavor by replacing the mint or lemon balm with other stimulating spices and soothing herbs, such as cinnamon, star anise rose petals or lavender. Decoct or simmer the Oregon grape root and pau d'arco for 20 minutes with the lid on. Turn off the heat source. Add the rest of the herbs to the pot. Allow to steep or infuse for 15 minutes or more with the lid on. 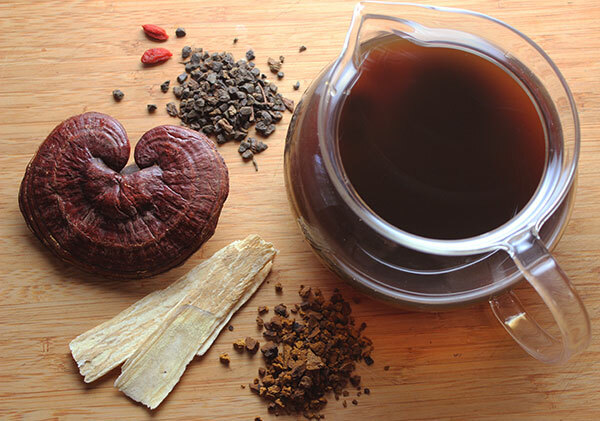 This is a delicious hardy concoction using three of our favorite Chinese tonics, he shou wu, goji and astragalus, in combination with the cleansing herbal stimulant dandelion root. 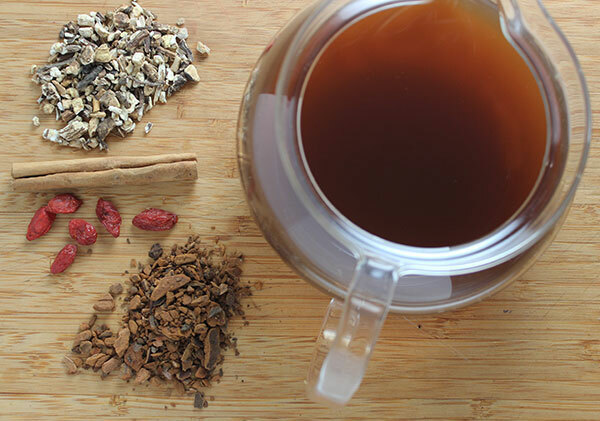 You can enjoy this tea for many days in a row for its benefits as a natural energizer. Decoct the ingredients by simmering in water for 20-40 minutes. Drink several cups throughout the day and store extra in the fridge for later use. This is a great nutritive tea packed with vitamins and minerals. 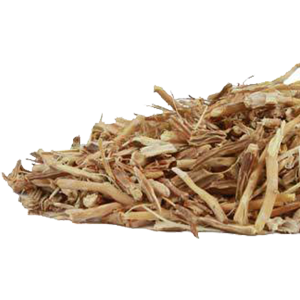 Particularly high in calcium and silica, it is an excellent nourishing tea for strong healthy bones, skin and hair. Nettle leaves are one of our primary herbs used in this recipe for their condensed phytonutrient content. 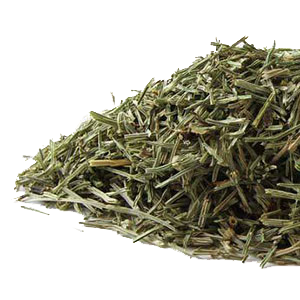 Fresh or dried horsetail is also a naturally high source of silica. It is a very "green" tea, but not the caffeinated variety. When cooled, it makes a great base for smoothies or superfood shakes. Place all the ingredients in a 1 quart mason jar or tea pot. Steep or infuse with boiling hot water for 20 minutes or more with a loose lid on jar. 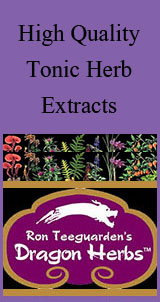 A wonderful herbal stimulant and delicious liver tonic brew. This is the way root beer was originally made, with roots! 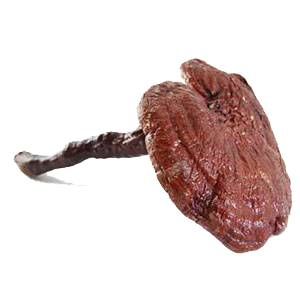 It is a very tasty way to help cleanse the liver and blood. In the mid 1800's it was sold bottled in elixir form as a blood restorative. Decoct sarsaparilla, dandelion, burdock, orange peel, goji berries and ginger root for 20 minutes. 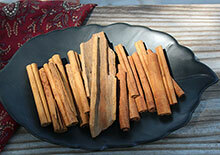 Add the cinnamon, vanilla and sassafras to the pot. Allow to steep or infuse for 20 minutes with the lid on. 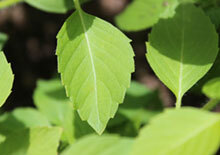 Tulsi or holy basil is native to India where it is valued as an energizing beverage and sacred plant. 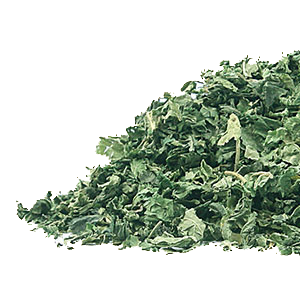 Tulsi does not contain caffeine, although it does have an energizing effect on the body. When you infuse dried tulsi leaves it actually turns a dark brown color. 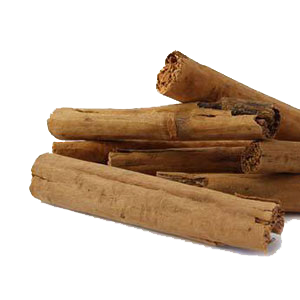 Some say it is a good substitute for coffee or caffeinated teas for those trying to kick the habit. 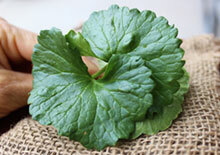 Gotu kola goes very well with tulsi and is often used with it in Ayurvedic tea formulas. 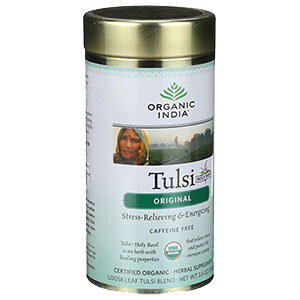 This tulsi tea recipe is particularly refreshing in the heat of summer as an iced cold beverage. 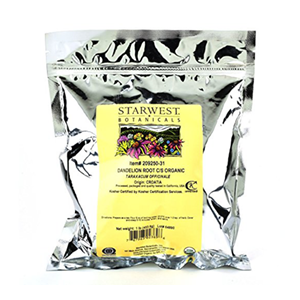 It has a lovely fragrance and blends very well with the other herbs used. Infuse the above ingredients in boiling hot water for 20 minutes in a 1 quart jar with a lid. Strain, then add sweeteners and vanilla. Drink as a hot cup of tea or serve iced. You can store in the refrigerator for several days. One of the few rules that herbalist often adhere to is using glass or ceramic pots or jars when preparing tea infusions or decoctions. Metallic pots can interact with herbal components and diminish their qualities. When making herbal tea infusions we always use one quart wide mouth mason jars. They are made with thick glass that can usually handle boiling hot water without cracking. Mason jars also have lids that are necessary for steeping your herbs. Glass, ceramic tea pots and french presses are also suitable and convenient alternatives. Although it is best to consume these herbal tea recipes soon after you make them, they do have a bit of a shelf life if you want to prepare them in advance. They can basically last for 3 days or longer when refrigerated. We recommend, however, leaving the herbs in the tea liquid, this helps it to last a bit longer from our experience. Because the water does not preserve the tea, it will (after a few days) start to ferment. Some of the best herbs to use are ones you grow yourself. There is nothing quite like hand picking your leaves or roots and directly brewing up a magical liquid potion. 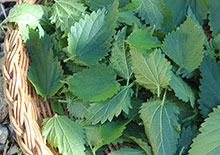 Many herbs can also be purchased dried in bulk by the pound. This is the most inexpensive way to buy them and stock your herbal pantry ready for use. We can't stress the importance of using high quality organic herbs that are sustainably grown and harvested. They are a definite upgrade to your teas, both nutritionally and ecologically. To get the most out of your herbal tea recipes it is best to consume them for many days in a row or much longer when using tonic herbs. These roots, leaves, mushrooms and berries are designed to tone and nourish on deep levels and require routine use to do so. It is sometimes a good idea to get into the habit of making your teas in advance the night before so you have them ready to use next day. For us, making daily teas is just a way of living and preparing food. It is well worth the daily "tea making ritual" because you will be getting superhealthy, concentrated nutrient-rich liquid to drink or add to beverages and foods. 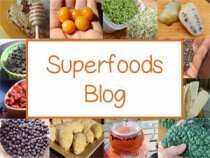 Throughout this website we discuss the idea of incorporating herbal teas as a base liquid into smoothies, shakes, raw soups or 0ther recipes. 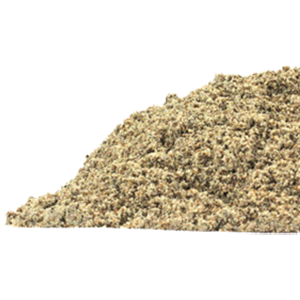 A great way to speed up the brewing time when simmering your decoctions is to pre-powder the ingredients in a high speed blender. To do this, combined all ingredients in a blender, like a Vitamix or Blendtec and blend until powdered. You can do this in large quantities for herbal tea recipes that you tend to use frequently. Be sure to store the ground powdered herbs in an air tight jar in a cool place. 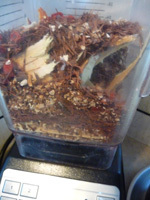 Even hard tonic herbs, or whole reishi mushrooms, blend up great in any high speed blender. For those of you on prescription medications it is important to consult your doctor or health care provider before using herbs or teas as some are contraindicated when taking certain drugs or pharmaceuticals.